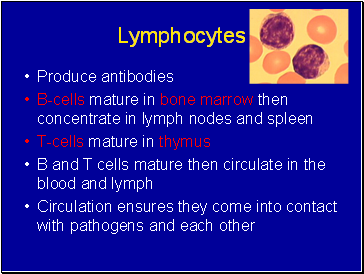 Produced throughout life by the bone marrow. 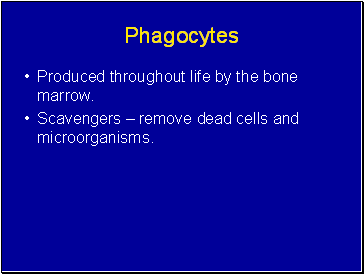 Scavengers – remove dead cells and microorganisms. 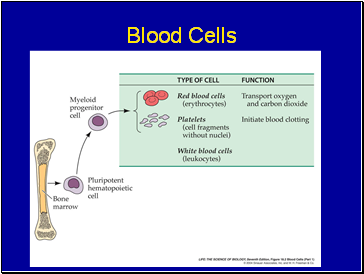 ‘Patrol tissues’ as they squeeze out of the capillaries. 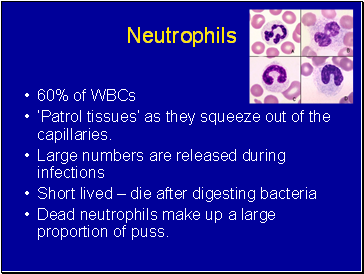 Dead neutrophils make up a large proportion of puss. Found in the organs, not the blood. 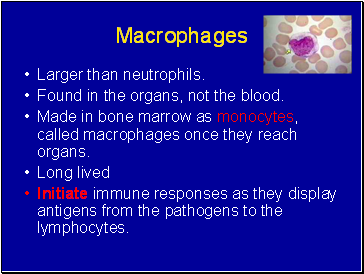 Made in bone marrow as monocytes, called macrophages once they reach organs. 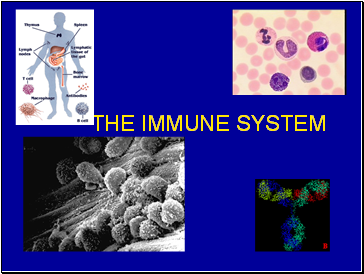 Initiate immune responses as they display antigens from the pathogens to the lymphocytes. 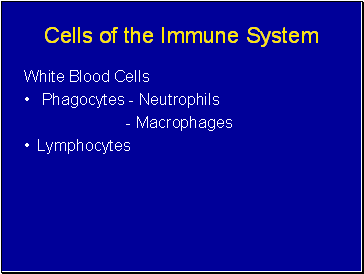 If cells are under attack they release histamine. 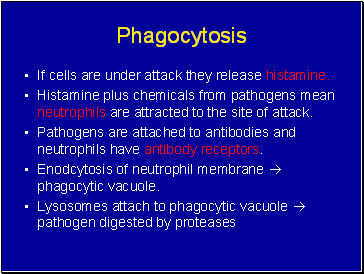 Histamine plus chemicals from pathogens mean neutrophils are attracted to the site of attack. 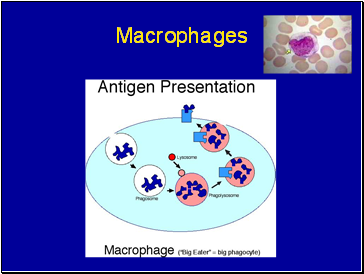 Pathogens are attached to antibodies and neutrophils have antibody receptors. 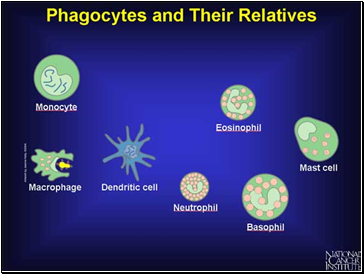 Enodcytosis of neutrophil membrane  phagocytic vacuole. 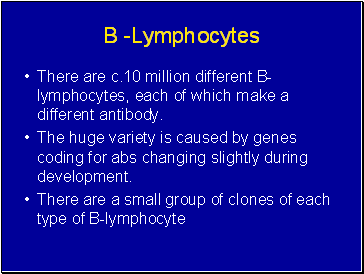 There are c.10 million different B-lymphocytes, each of which make a different antibody. 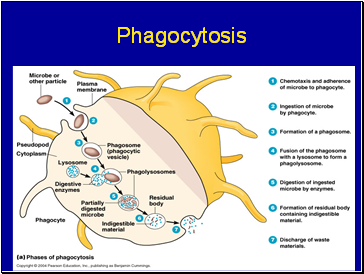 The huge variety is caused by genes coding for abs changing slightly during development.